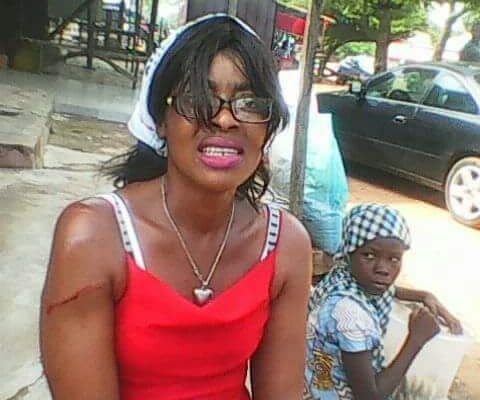 For criticising the government of Dr. Samuel Ortom of Benue State, a lady identified as Blessing Idoko has been reportedly beaten to pulp by the Governor’s security attaché at the Mercy Land Parish of the Redeemed Christian Church of God in Makurdi on Sunday. According to DAILY POST the Governor, who is popularly addressed as ‘Pastor Sam’, owing to his religious activities in the state; was said to be one of the worshippers at the Redeemed Church yesterday. Irked by the unusual effrontery of the lady, Gov. Ortom alegedly signaled his security details to take her away from his presence. The report also said the security men pounced on the helpless lady afterwards, shoving and slapping her in the process, of which she fell to the ground a number of times, as the Governor calmly walked away to join the already activated congregation. When contacted on his cell phone, the Chief Press Secretary to the Governor, Terver Akase debunked the story, describing it as a calculated attempt to tarnish the image of the Governor. “This is another desperate but failed attempt to tarnish the good image of Governor Samuel Ortom. I saw the facebook post and went outside the church to investigate and I discovered that the incident did not take place in the entire time that the Governor and his entourage spent during the thanksgiving service. “I asked every security person on duty within the church premises including those who accompanied the Governor. I also inquired from other people who were outside the church who might have seen the reported beating but no one could confirm the incident. “If anything took place at The Redeemed Christian Church of God, Mercyland Parish where Governor Ortom worshipped today as reported, then such an incident occurred some hours before the Governor arrived, in which case, he cannot be blamed. 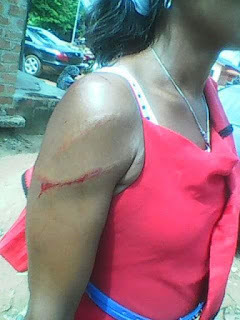 Governor Ortom did not order the beating or harassment of anyone at the church,” the Media Aide submitted.